Sign up for weekly webinars! 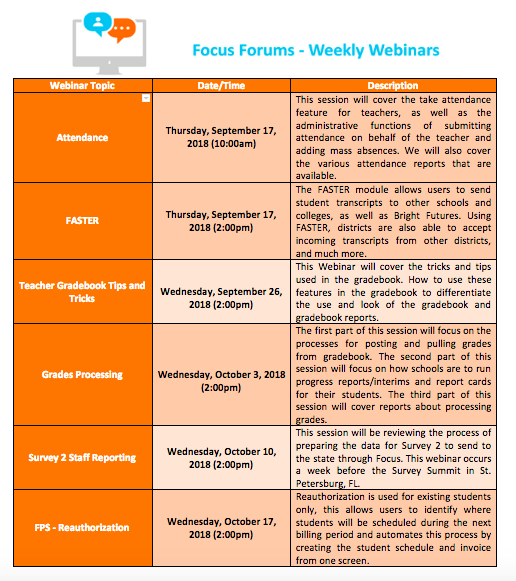 Focus conducts weekly webinars to provide relevant information to schools on the topics that they want to hear about. From discussions of new features to how to perform certain processes, these forums are a great opportunity to learn more about Focus Software without the travel. Many districts are taking advantage of these forums and learning more about how Focus Solutions can make their schools more productive. Weekly webinars provide relevant information, from discussions of new features to how to perform certain processes. 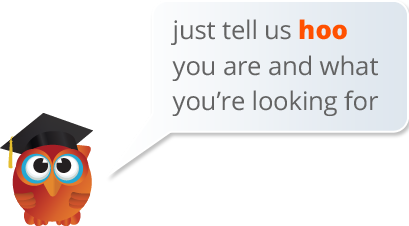 These forums are a great opportunity to learn more and ask questions about Focus. You’ll find everything you need to know about our software updates from one version to the next. Release notes for larger upgrades (e.g. 8.0) will also point you to help pages for new features. Focus School Software hosts an annual 3-day Users’ Conference to bring the latest updates, tricks and tips for users at every level.